204 pages | 13 B/W Illus. The adoption and management of the common currency has led the Eurozone to a critical point. This book analyzes in an interdisciplinary way the fundamental causes of distress, making sure to relate economic issues to the social and political aspects of the problem. The book explores the reasons why the Eurozone has fallen into a policy trap, as well as what Europe did and should do to exit the crisis, and why this is proving to be so difficult. The book also considers what role the United States has played, and could play to help foster a solution for the Eurozone. The main topics explored are the complex nature of the crisis, the short circuit between policies and the given institutional architecture, the controversial role of Germany, and the importance of an active role of the US. 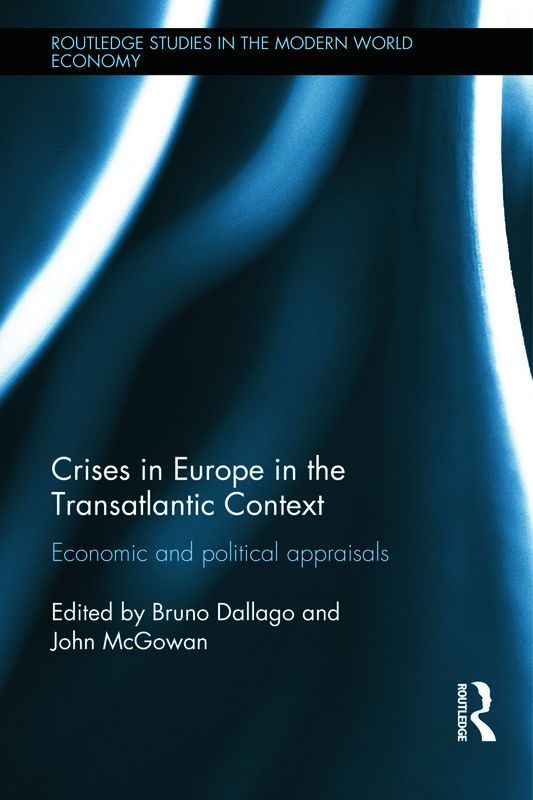 The book brings together a transatlantic group of scholars in order to offer an interdisciplinary analysis of the deep causes of the Eurozone distress. The authors recognize that the Eurozone countries have contrasting situations and interests and face different problems with complex consequences for the vexed question of national sovereignty within the EU; and pay attention to the social and political consequences of the economic and financial distress and of the perceived strain of the common currency. John McGowan is a Professor of English at the University of North Carolina, USA, and is a specialist in cultural and political theory. Bruno Dallago is Professor of Economics at the University of Trento, Italy. His research fields include economic policies, with particular concern for the European Union, local development and comparative economics.